Once Upon A Teen Reader: Can you describe THE CREEPING in 10 words or less? Alexandra Sirowy: Dark secrets, mystery, friendship, ancient evils, and love abound. OUATR: Stella is the only witness to what happened to her friend Jeanie all those years ago but she can't remember what happened. Do you think in a situation like that (minus any paranormal aspects) it would be better to remember or forget? AS: Oh, whoa. Excellent question! I’ll try to answer without spoilers….I think in Stella’s case, the best outcome (and I’m not saying this is or isn’t how it turns out) is for her to remember. The mystery of what happened to Jeanie isn’t as simple as one dark event, there are pieces to the puzzle like breadcrumbs in Stella’s memory that (IF she remembers) she’ll uncover. But there are also really good memories of Jeanie that Stella doesn’t realize she has. Not only does remembering what happened to Jeanie mean catching whoever or whatever ferried Jeanie away in the woods back when they were six, it also means recovering all of Stella’s childhood memories from that day and all those before. THE CREEPING is about friendship and loyalty as much as it is about darkness and mystery. I really believe that our friendships and loves define us, and I think that a part of Stella will be missing until she remembers Jeanie. OUATR: Your book seems to straddle the line of contemporary vs paranormal. Was that always the idea? What drove you in that direction? AS: Okay, two part answer. Confession: I like things that don’t quite fit in. Maybe because I don’t quite fit in? Regardless, I’m always more engrossed in books that make you think, What is this glorious, insane thing? When I sat down to write THE CREEPING (picture me scribbling furiously on the train during my commute to work) I wasn’t going to be preoccupied with making the book fit in one genre or another. A romance developed on the pages, friendships were tried and tested, clues were followed, and evils were braved. I was determined to follow the story wherever it wanted to go and that happened to be the in-between world it ended up in. Now for part two…so when I realized where THE CREEPING’s plot was headed and that I was really doing cartwheels down the line separating a contemporary thriller and a paranormal mystery, I realized it was testing what I thought about good and evil and everything in between. It was so damn (can I say ‘damn’ on this?) interesting and if there’s one thing to know about me, it’s that I crave the interesting. OUATR: The tagline on the cover, "If you hunt for monsters you'll find them" actually plays a roll in the book as something that's said. Does that phrase mean anything to you outside of the story you created? And regardless where did that idea come from? AS: That line, “If you hunt for monsters, you’ll find them,” was actually one of the first sentences that popped into my head as I was writing this book. It was impossible not to let it shape the story. Where did it come from? Some deep, dark, undeniable corner of my brain. While it surely means a lot to me – I’ll be the first to say that we live in a world that can be bleak at times (you need only to switch on the news to see this) – I do wish that I’d added a sort of response to it in the book. I wish that at some point I had thought of having Stella say (or maybe this is the sort of optimistic and wise thing Sam would say? ): If you search for goodness, you’ll find it or If you look for heroes, you’ll find them. Because although there are monsters of a kind in THE CREEPING, there is also tremendous bravery and loyalty among friends. The girls of THE CREEPING risk it all to save each other and I hope that that’s the lasting impression my book leaves on readers. OUATR: Your next novel, THE TELLING, is out next summer. Can you tell us a little about it? AS: I am SO flipping excited for this book to be out. THE TELLING is a young adult thriller that will hit bookstores in August (yay! ), out from Simon & Schuster BFYR. And in four words, it’s about: Love, blood, and murder. 1. On a scale of 1 to 10 how scary would you say your book is? I’ll just say that there were times while I was writing THE CREEPING that I actually had to put my laptop down and walk away because I was so unnerved by what I’d come up with. 2. Would you survive in your own book? As long as I had friends like Stella’s, absolutely. 3. What is your favorite scary movie? One of my most vivid memories from being a kid is sneaking and watching Wes Craven’s SCREAM when my parents weren’t home. We had this house with all these huge windows that looked out onto some woods and I freaked myself out so badly that I can remember crawling down the long hallway on my hands and knees so that the woods (and whoever might be hiding in them) couldn’t see me. SCREAM is still hands down my favorite scary movie to watch. 4. Favorite Halloween candy? I am a crazy nut for peanut butter cups. For some reason the single cup size they make for Halloween tastes so much better than the regular kind. Runner up would be anything gummy and sour (ANYTHING). 5. What YA horror/thriller would you recommend? I am currently reading Libba Bray’s THE DIVINERS and loving it. The second in the series is already out so I’m majorly behind the times, but I would recommend this series to anyone who likes their YA smart and brilliantly vivid. Alexandra Sirowy is the author of "The Creeping "and "The Telling". She was born and raised in Northern California, where she attended a women's college as an undergraduate and received her MA at the University of San Francisco. She is a voracious reader, the oldest of three children, an avid traveler, a record-holding high school long jumper, a gourmet cook, a feminist, and forever grateful to her parents for reading to her as a child. Alexandra lives in Northern California with her husband. 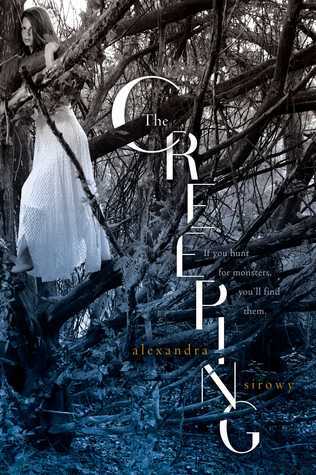 Alexandra has generously donated a copy (I assumed it will be signed if you would like) of her debut novel THE CREEPING that will go to one lucky winner! All you have to do is fill out the rafflecopter below. Because of postage costs and since it's coming from Alexandra herself this giveaway is also US only. I promise an international giveaway is coming though! Ooh, I've had my eye on this book for so long! Great interview, as usual. I always like those 10-word descriptions. Oh-and the "fast fives" never disappoint! This book sounds super creepy! I hadn't heard of it before but now it's something I'll definitely add to my TBR pile. 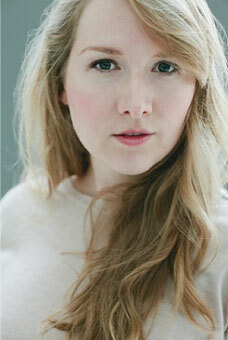 And Alexandra's next book The Telling sounds great too! I mean who doesn't like love, blood and murder?? Whoa! I am in love with this cover!!! Now I'm extremely intrigued by this book. Thanks for spotlighting it! The idea of contemporary and paranormal is intriguing. The genre tends to add a lot of mystery, which I am a big fan of recently. I am also glad Alexandra mentioned Libba because I love her books! I've added The Creeping to Goodreads. I'm excited to read it! I haven't read it yet, but I've been dying to read it for months! Great Interview! The idea of friendship shaping us this much intriguing. That alone makes me want to read this book like right now!